Join ringers from around Area 5 for “Bluegrass, Bourbon and Bells!”, a weekend of handbell music, education, fellowship and fun! Please read below for more detailed information for our event in Louisville. We strongly encourage registrants to use the room block in our host hotel. The special event rate for the Spring Festival is $165.00 (double double) with applicable state and local taxes. We’ll update this space with the online booking link when it’s available. Cut off date for special rate: TBA. 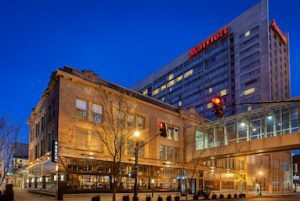 The Louisville Marriott is centrally located in the heart of downtown, within walking distance to many restaurants, attractions, shopping, and night life venues. Hotel amenities include: restaurant, lobby bar, Starbucks, indoor pool, whirlpool, fitness center, and mini-fridges in all rooms. Parking garage is located beneath the hotel, with self and valet options. Online registration will open October 1, 2019. Bronze Ringers are members of Handbell Musicians of America directed by Angela Hampton. As one of only a few public high school handbell programs in Indiana, Floyd Central’s handbell ensembles are a unique component to our Performing Arts Department. Students in these ensembles perform arrangements of popular, classical and folk music, as well as original handbell compositions. The groups perform on a 5 octave set of Schulmerich bells, a 3 octave set of Schulmerich bells, 5-1/2 octaves of Schulmerich chimes and 2 octaves of Schulmerich Silver Melody Bells. Members of our ensembles have performed at Walt Disney World and have been selected for Indiana All-State Handbell Ensemble and the National Honors Handbell Ensemble. Michael J. Glasgow is originally from Michigan. He holds B.A. degrees in music theory/composition, and in journalism; as well as a Master of Church Music degree, with emphases in both choral and handbell music. 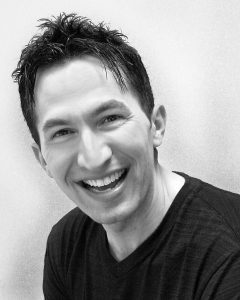 In addition to his full-time position at North Raleigh UMC (Raleigh, NC), Michael serves as the Bass Section Leader for the North Carolina Master Chorale and the Choral Conductor for the Tar River Orchestra & Chorus. A passionate composer with an “abundant melodic gift” (New York Concert Review), he keeps busy with commissions and his own projects, and has been honored by several contests for organ, handbell and choral compositions. Michael made his Carnegie Hall debut conducting his Requiem for chorus and orchestra in June 2017, and will conduct its European premiere in Vienna in June 2019. He is proud to have served as the inaugural conductor for the Anthornis and Anthornis North advanced-ringing events in Minneapolis and Fargo; additional international engagements include England, Canada, Hong Kong, Singapore and the Eastern Caribbean. Michael is member of ASCAP, American Composers Forum, Mensa, FUMMWA and several other professional organizations. Additional information and samples of Michael’s work may be found at www.michaeljglasgow.com and on Twitter: @MichaelJGlasgow. Are you a conductor interested in working with massed handbell ensembles? Please take a moment and consider our Associate Conductor Program. Our goal for this program is to identify, train, and nurture potential new conductors for massed ringing events throughout Area 5. Our Associate Conductor at the Spring 2016 Festival, Joe Galyon, thoroughly enjoyed the opportunity, and our 2017 Associate Conductor, Brenda E. Austin said that the program was “an incredible experience“.